Factory Roof Insulation plays a critical roll in reducing the working temperature environment in the factory or workplace. 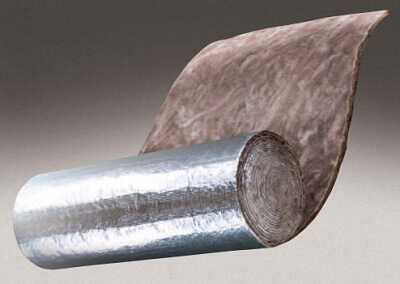 In fact, Factory Roof Insulation is laminated with a foil facing on one side. The foil facing on one side is merely a carrier for the insulation. Factory Roof Insulation or (Factorylite) is installed by means of wire strainers fitted on the roof. The 75mm Factory Insulation will then be rolled out over the wires as the new Roof Sheeting is laid and the fixed to the metal beams. Roof Insulation for factories is compulsory as of January 2012. All new buildings must have Thermal Insulation achieving a specific R-value for the region. Our 75mm Factory Roof Insulation Price is very good as the price is based on volume stock for the building industry. Not all 75mm Factory Roof Insulation prices are the same. We also stock white-faced Factory Roof Insulation as well as Black Factory Roof Insulation laminates. The price on the white and black-faced insulation may vary slightly from the Silver foil finish. 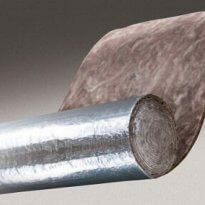 The prices above are for the 75mm Foil Faced Factory Roof Insulation. The Ecose Factory Insulation is the best available. In fact, the Ecose Factory Insulation is the only product on the market that is Formaldehyde Free.